Open 6AM - 9PM 7 Days a week. We are the original One Stop Shop. Since 1981, Oregon's friendliest Gas Station has remained family-owned and loyal to serving you. Trucke's is the yellow Convenience Store on South Highway 101 in Seaside. We sell Gas, Diesel, Groceries, Fishing Bait, Tackle, and Tags. We offer a huge new selection of Coastal Craft Beer. 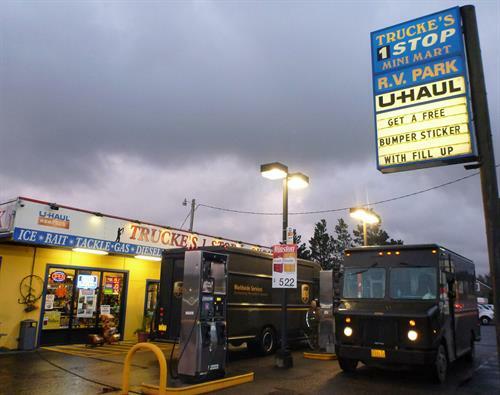 Trucke's is also an RV Park with the best rates in the county. We are a 5-Star U-Haul Dealer, and we sell or rent quality Crab & Clam Gear. 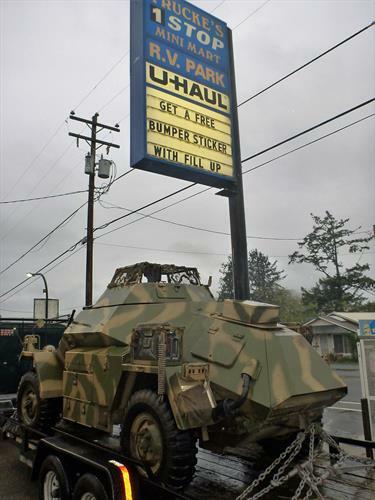 Come experience the Fastest, Friendliest gas station in Oregon! Please call or visit our website if you have any questions, or just want to know the local tides. We are on the South End of Seaside, on HWY 101. From Portland, Take Hwy 26 West 70 miles, merge onto 101. Go North 3 miles. We are on the right-hand side of HWY101, just past the 1st Traffic Light.